Here are the steps in removing your organization in JuanTax. You also have the option to remove any organizations that you don't want to appear in your JuanTax account as long as you are the subscriber of the organization. Start deleting organizations by going to your JuanTax portal, choose the organization that you want to delete. Click the More button to delete your organization. Then click Yes, delete it please! button. 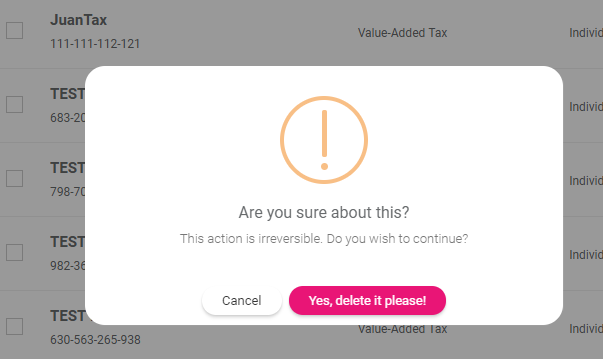 A message will show, indicating that you had successfully deleted your organization in JuanTax. Click Ok to continue.